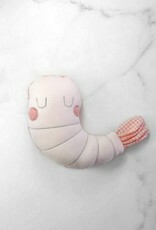 This cute little plush Kiki the pink shrimp will make an original and fun baby shower gift! It will be perfect for the nursery, or keep it for you! 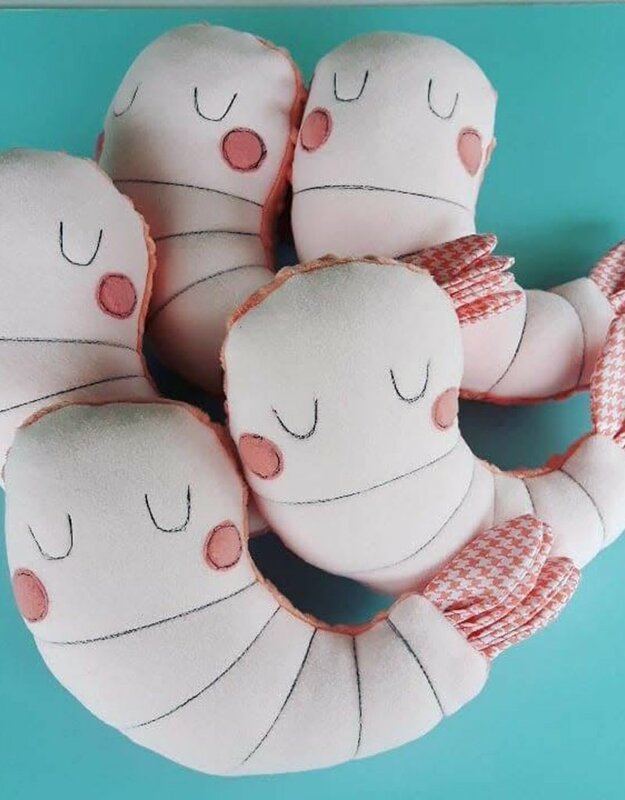 She will make a beautiful decoration or a good companion for baby, and will follow it with the years, bringing him safety, comfort and softness. It is soft and soft thanks to the papaya minky fabric on the back that adds a pleasant texture to the touch. All the details are embroidered with the sewing machine ("thread sketching"), for a look reminiscent of the sketch. It does not contain a button, which makes it ideal for baby. 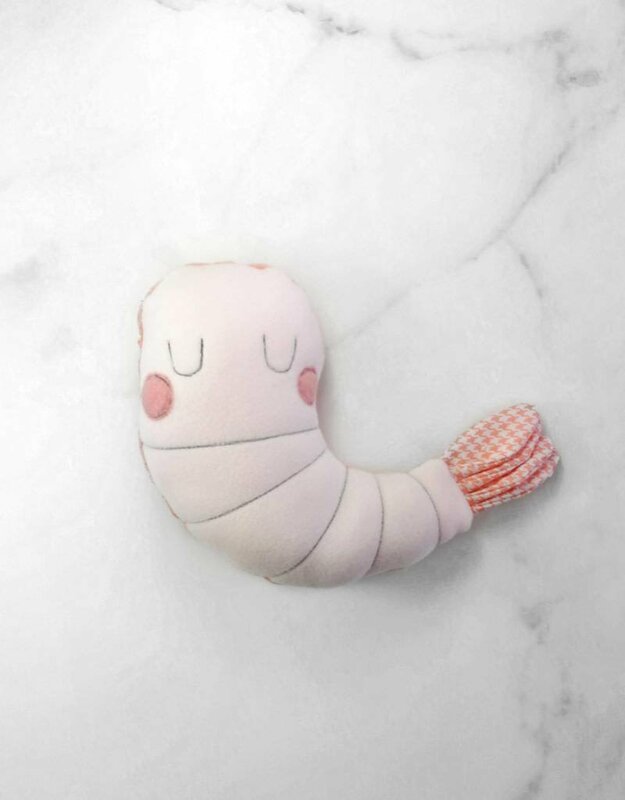 This stuffed toy is made in a smoke-free, animal-free environment. It is about 27cm (11 inches) long (including the tail). All stuffed animals are securely sewn with love and stuffed with 100% polyester fill. Maintenance: Preferably, wash by hand. Can also be machine washed, delicate cycle. Dry flat. Avoid the dryer to stay beautiful longer! Thank you for encouraging local creators!